Due to black cats being associated with bad luck, they are not frequently adopted like their lighter counterparts. In fact, some studies suggest that black cats are adopted at a rate as much as 50 percent less! However, black cats are no more satanic than any other type of cats, and can still be a loving member of your family. Here are a few facts that you may not know about black cats. While cats representing bad luck is a common theme in the United States, other countries have an opposite view. In Japan, owning a black cat as a single woman is supposed to bring you more suitors. In Germany, having a cat walk in front of you from right to left is supposed to actually bring good luck. Many people associate black cats as “mutts” or simply strays. However, there are many breeds of black cats. The Cat Fanciers’ Association (CFA) recognizes 22 different breeds of solid black cats. The quintessential black cat is the Bombay breed of black cats with copper-colored eyes and black short hair. This breed was specifically bred by a woman named Nikki Horner who wanted a cat with similar markings of a panther! Black cats get a bad rap due to its color and association with witchcraft. However, there is research being done to map out the genomes of a black cat. The mutation in their fur that gives them an all-black appearance has been found to be in the same family of genes that provides humans with resistance to diseases such as HIV. While not proven, scientists have hypothesized that black cats evolved to become more resistant to disease and not for camouflage. Sailors often kept cats to keep the mice population down on ships, but black cats were especially popular. They were considered lucky and helped ensure a safe journey. Tiddles is one such cat that traveled with the British Royal Navy. He has traveled over 30,000 miles. 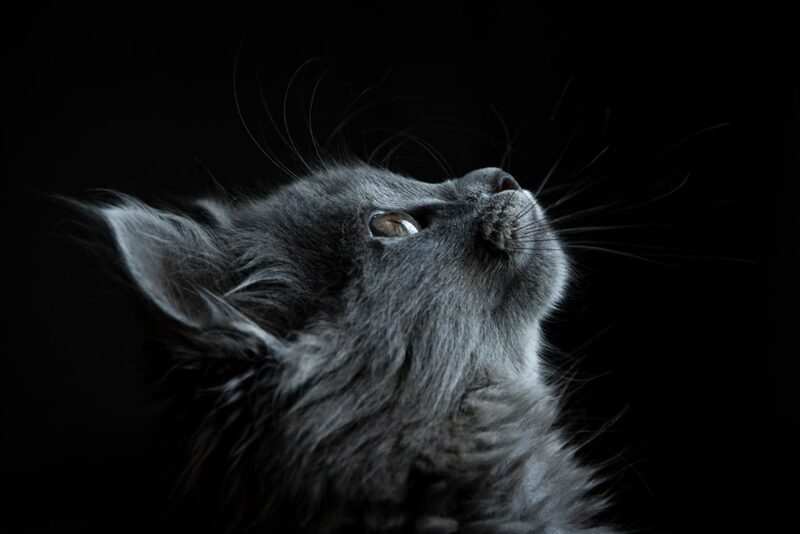 Whether you are looking to adopt a black cat, or have one in your family, keep up with its health by taking it for regular checkups at the Crossroads Animal Clinic, your Copperfield animal clinic. We offer a variety of services for your feline and canine friends!